He is very dedicated about painting from his childhood. He lived in old Dhaka and old Dhaka is popular for painting there has so many rickshaws painting workshop. 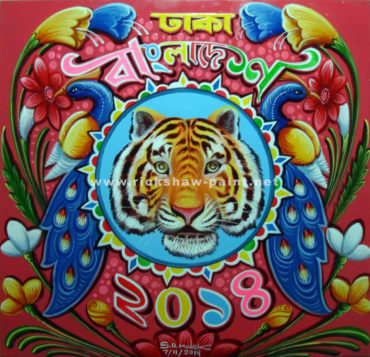 When he was primary school student he started learning lesson form teacher RK Das one of the talented and popular rickshaw artist in old at that time he started paint in small frame when he was 7yers old. He makes it his profession when he realizes that he has lot of talent about this. He made a popular rickshaw artist by art uncountable rickshaw painting. He invited from japan in 1992 for amazing rickshaw painting. He participated in art exhibition in Italy, France, Nepal and America.